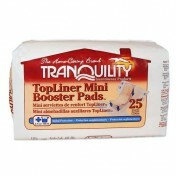 Tranquility Adult Liners SALE Incontinence Liners, Bladder Control Pad, 2078, 2078A, Tranquility Liners. 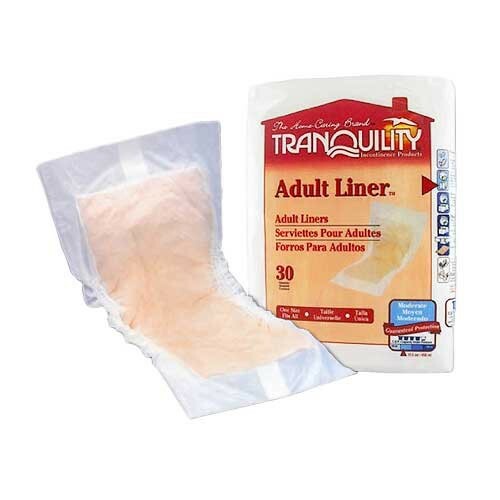 Tranquility Adult Liners provide moderate protection against incontinence. 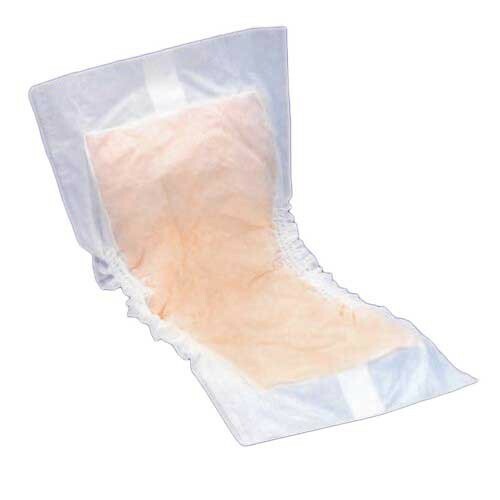 This incontinence liner is equipped with an adhesive strip on the back for secure placement when worn in regular underwear. Designed with a discreet appearance, these pant liners allow users to live a more active lifestyle. 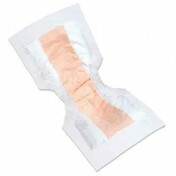 The absorbent layer wicks liquid away from the skin to keep you drier and to promote healthier skin. 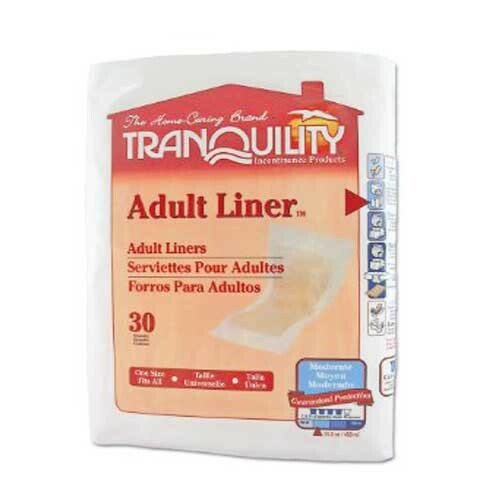 Tranquility Adult Liners control odor giving you more peace of mind. 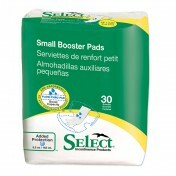 An adhesive strip on the back provides for secure placement when worn in regular underwear. 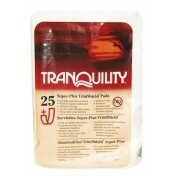 Excellent absorption capacities maintain skin dryness and controls odor providing peace of mind. Discreet appearance helps provide a more normal and active life-style.